This van was one of the first I ever converted. 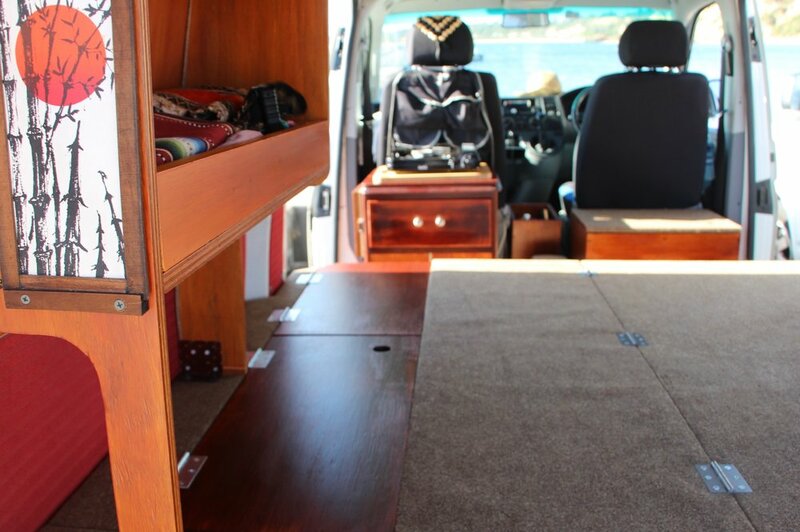 It's a relatively simple set up to allow room for the van to used for touring with a band and loading music gear as well as a camper. 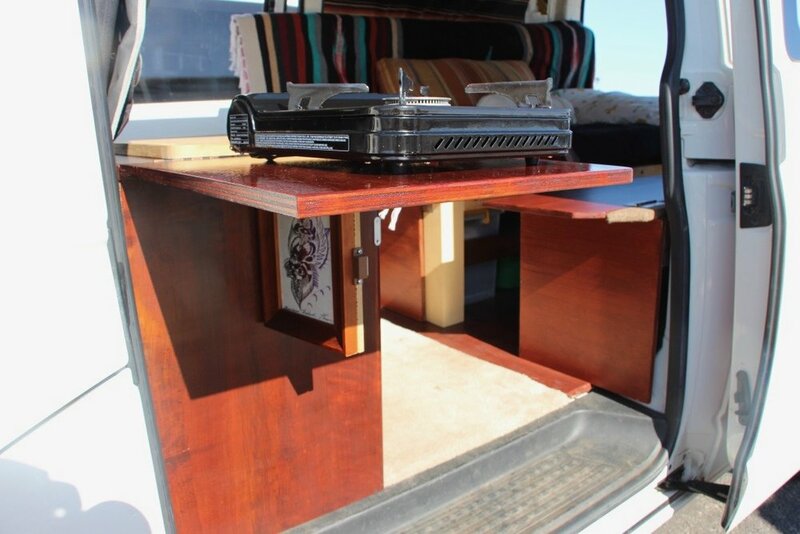 The kitchen and storage chest behind the front seats are removable. They work well because they keep the walk-through free between the two front seats and it's great to be able to take the cooking experience outside when you like. The bed folds up to form a couch or day bed that in turn frees up space for hanging out. The idea behind this is borne from the preference to keep the full double bed mattress in one piece. It's simply folds in the middle.